Schumer Secured Federal Funding For Project In Hurricane Sandy Relief Bill For Series of Dunes and Groins To Protect Long Beach From Future Storms. Long Beach, NY - February 14th, 2014 - U.S. Senator Charles E. Schumer, today announced the details of the major, $180M federally-funded dune and groin protection system for Long Beach, Long Island. Superstorm Sandy devastated the Island, in large part because a protection system had never been built. Following the storm, Schumer secured $180 million in federal funds for the Sandy relief bill to install a system of dunes and groins to protect Long Beach from future storms. However, despite the availability of funds, the Office Of Management and Budget (OMB) tried to require that the City of Long Beach and New York State pay 35% of the project cost, which likely would have prevented the dunes and groins from ever being built. Schumer then successfully convinced OMB that such a high local cost share was not Congress’ intent, and that they should pick up the entire tab, ensuring no cost to local taxpayers. Schumer today released the details of the project and a tentativetimeline. 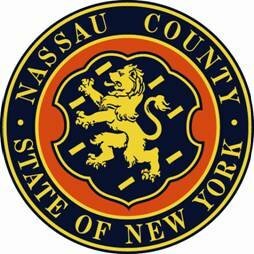 Nassau County Executive Ed Mangano stated, "I commend Senator Schumer for working with Nassau County, Hempstead Town and the City of Long Beach to strengthen our shoreline and protect local neighborhoods against future storms." The authorized project, including changes developed for this Hurricane Sandy Limited Reevaluation Report (HSLRR), provides a beach berm, dune and groin system to reduce the potential for storm damage along approximately 35,000 linear feet (lf) of shoreline along the barrier island of Long Beach, New York. If all parties are able to agree on the scope of the project; the HSLRR is approved; and the Project Partnership Agreement is signed in a timely manner, by this summer, the ACOE is expected to award the first contract (groin work only) in the Fall of Calendar Year 2014. Contract 2 (more groin work) would be awarded in early 2015. Contract 3 (Sand) would be awarded sometime in early 2016. We need the groins (majority of them) in place before the sand. Subject: LongIsland.com - Your Name sent you Article details of "Schumer Announces Details Of $180m, Federally-funded Dune And Groin Project To Protect Long Beach From Future Storms"